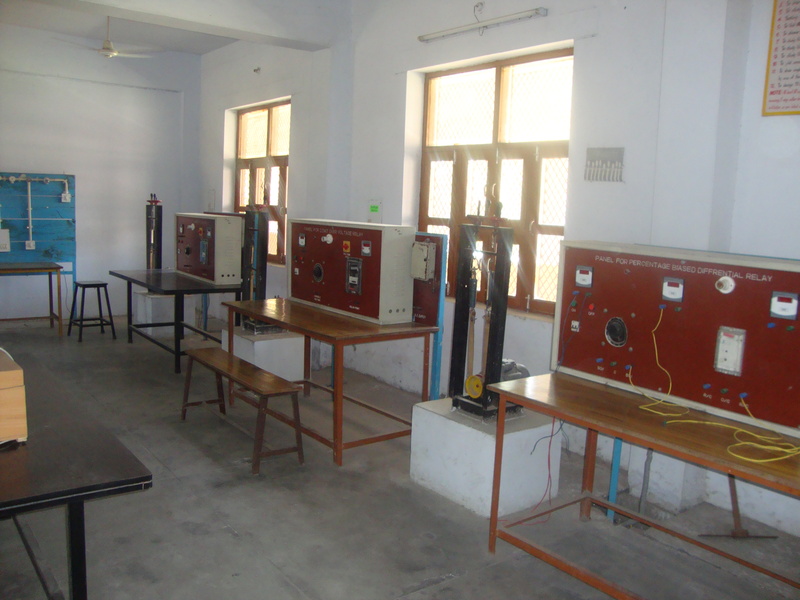 This lab aims at providing the basic concepts for measuring the different electrical parameters like voltage, current, power, unknown parameters etc. with precision & calibration of different types of instruments and also to impart knowledge on the working s of the different types of measuring instruments. 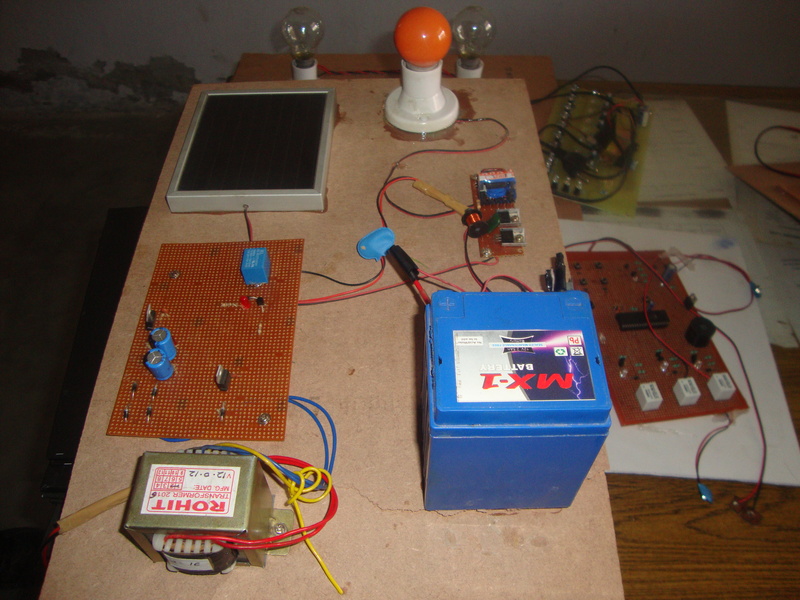 This lab has the set ups like master unit for measurements, Power Factor meter, wattmeters etc. & bridges like Maxwell's, Anderson's, Wiens, Universal Impedance Bridge etc. to find the values of unknown parameters like Inductance, Capacitance etc. This lab is also equipped with all other accessories to facilitate the students to perform their experiments to acquire better knowledge. Control System curricula are often viewed by students as theoretical and highly mathematical. Students are often unable to relate the theory to applications in the real world. The obvious solution to this problem is to include lab experiments in the Control System curriculum. The experiments for the Control lab are selected based on the topics for the corequisite lecture class so that they cover basic principles rather than advanced concepts. They include modeling, analysis, simulation and design of control systems or basic components of control systems. Formal lab reports that document the experiments and include experimental data are required. The theoretical concepts utilized in the lab are covered in the lecture. Scheduling of labs can be synchronized with the lectures as much as possible. DC Motor Control: The Feedback Corporation DC Servo Module is used to compare armature and field control of DC motors. An attenuator unit is used to model varying loads. The students obtain torque-speed characteristics at several input voltage settings. Estimates of the no-load speed can be used to evaluate some motor parameters. Introduction to SIMULINK: The students are introduced to the MATLAB simulation toolbox SIMULINK. This includes creating new files, opening block menus, selecting and connecting blocks, setting block parameters, setting simulation parameters and plotting simulation results. These skills are learned by simulating a DC motor velocity control system. Design of P, PD and PID Controllers: With the aid of PROGRAM CC, the students design P, PD and PID controllers for the Feedback DC Servo Module. 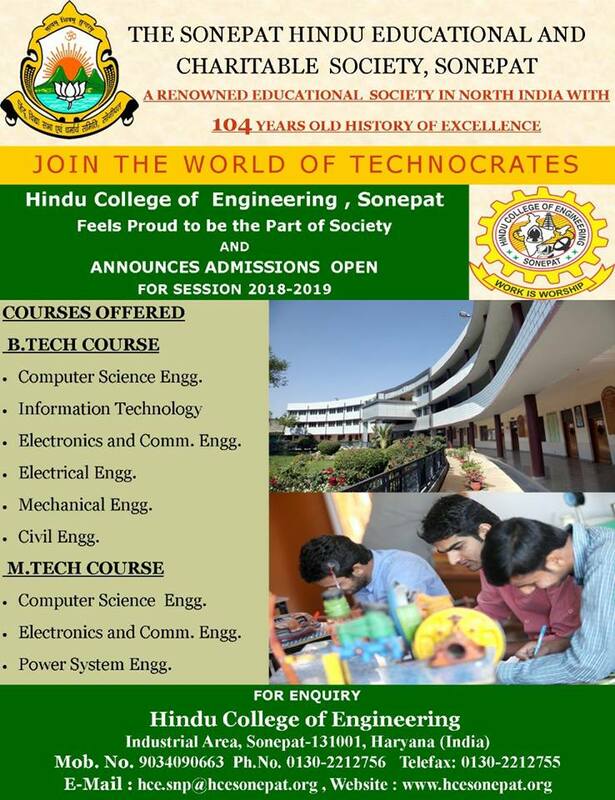 The designs are subject to constraints on the controller parameters and are therefore more complicated than those completed in home work assignments. The designs are completed in the s-domain using root locus plots. The experiments are intended to mimic standard practice in control system design where extensive simulation is performed prior to implementation of a new design. The Electrical Machines Laboratory supports teaching, research and consultancy work on Electrical machines (Generators & Motors) and drives. 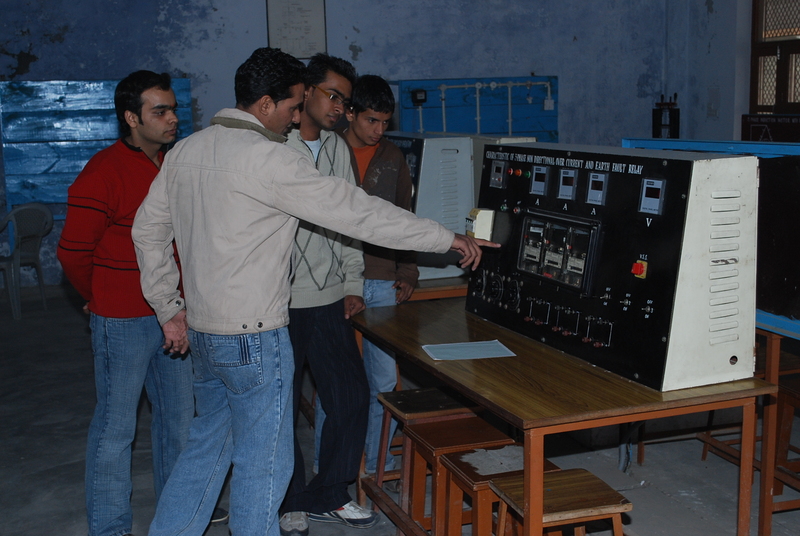 Through hands-on experiments with real machines, students gain practical experience on transformers and various types of machine drives. 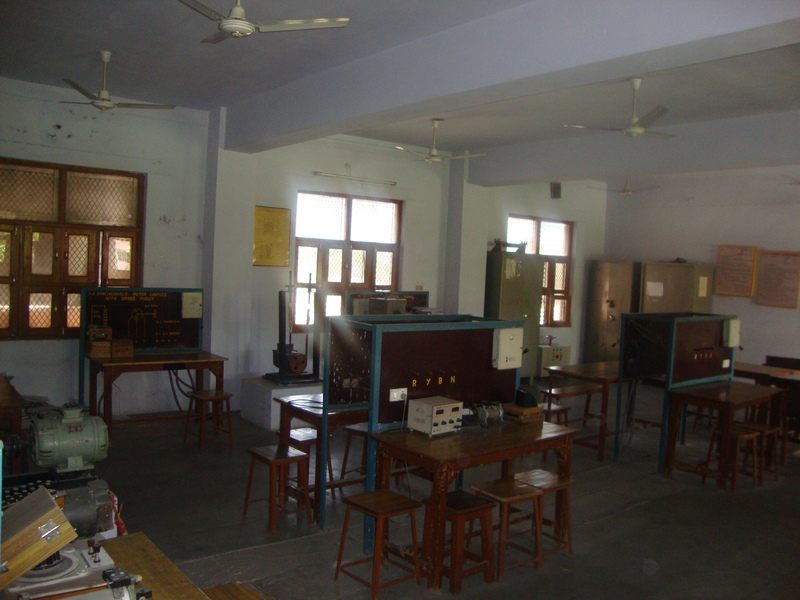 The laboratory can also be used for project work related to electrical machines and energy conversion. 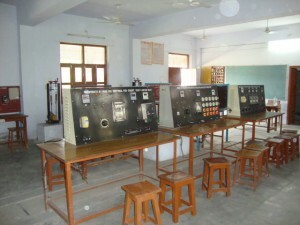 The Machine lab section consists Transformer; D.C. Shunt Motor; D.C. Shunt Generator. 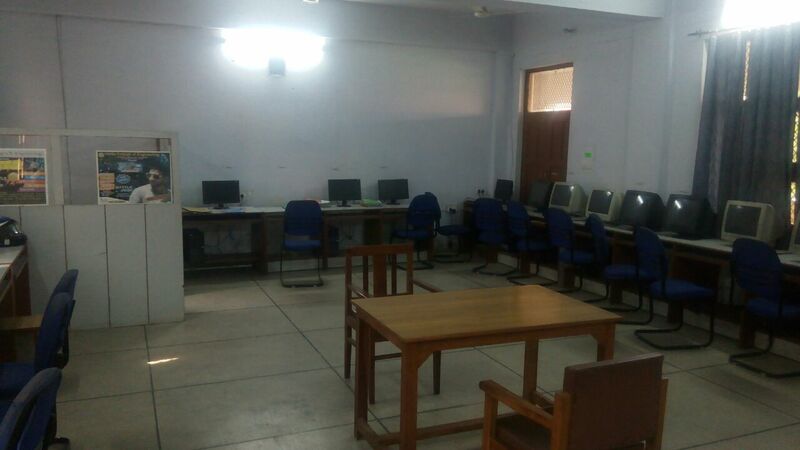 This machine lab section is divided into two parts: Electrical Machine lab-1 & Electrical Machine lab-2 Electrical Machine lab-I: This lab is concerned with DC motors & Transformers. The work in this lab includes different types of test on DC motors and Generators to find their characteristics. For the study of any device/instrument models are also available in this lab. 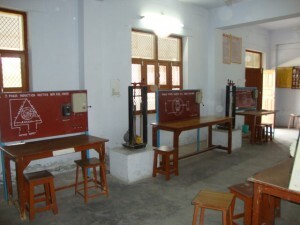 This lab also provides the experimental setups to perform different experiments on transformers. 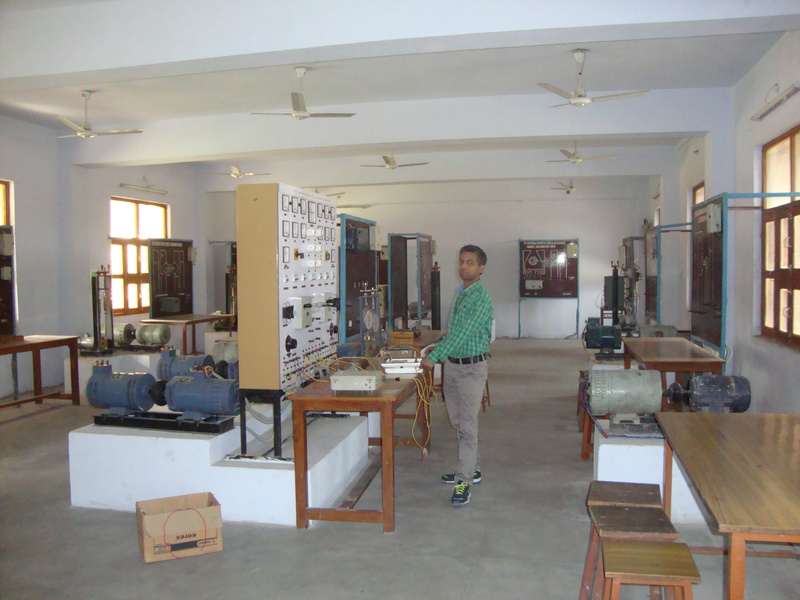 Electrical Machine lab-II: The main objective of this lab is to give the knowledge of AC machines (Induction & Synchronous) to the students. 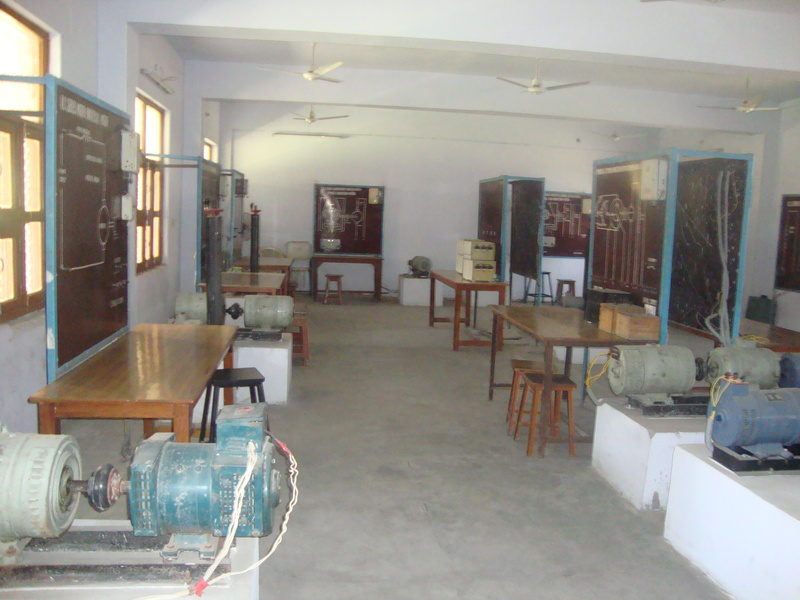 This lab includes the single and three phase induction motors, alternators and synchronous motors, all of which help to increase the technical skills of students.